Archive by category "General Info"
The Van in Black recently had the privilege of sponsoring and providing transportation services for the 2019 NC Wine Bloggers Summit that was held in the Yadkin Valley region of North Carolina. This was the second annual summit. 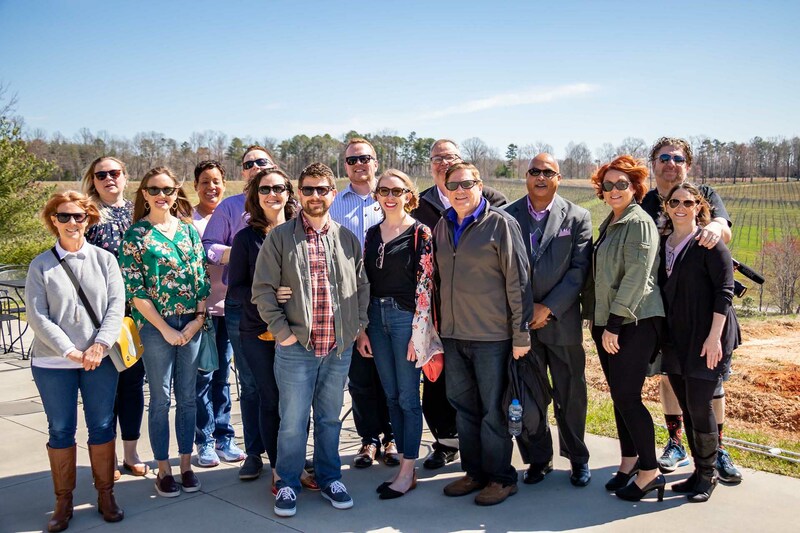 The forum of the event was created to provide an opportunity for bloggers, digital influencers and those in the wine industry to meet face to face to primarily discuss ways to improve the North Carolina wine industry through blogging and digital media. There were some other ancillary topics that were discussed but the most important by-product of this summit, in our opinion, was the fact that bloggers and wineries got together and discussed how they can help each other. The Van in Black is pleased to announce that they are now authorized to provide shuttle van service for both arriving and departing travelers at Asheville Regional Airport (AVL). As with the other airports we service (GSP and CLT), the Van in Black brings a specific niche to the area with our larger sized shuttle service that has substantially more capacity than a taxi, ride-share, or typical shuttle van. It is perfect for large families or groups traveling together with an abundance of luggage. Whatever you have, we can handle it! This ultimately provides a more cost effective option to large families or groups with the added coolness factor at no additional charge (who doesn’t want to get picked up by the Van in Black?). Call us today to book your pick-up or drop-off at the Asheville Regional Airport! And, while you’re in Asheville, remember that there are a TON of things to see and do in the area. Why not use the van and its regional expertise to see all of the local sights too? Whether you want to visit one of the many micro-breweries or a large regional brewery like Sierra Nevada Brewing Company, when you need a designated driver, we’ve got you covered. Maybe you want to go out on a hike to see the beautiful mountain scenery, up close and personal, the Van in Black can provide the transportation you need to the trail head or the local swimming hole. We know all of the hot-spots and can get you and your friends there safely and in style. 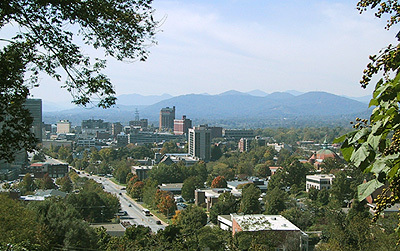 Call us today for your Asheville transportation needs! 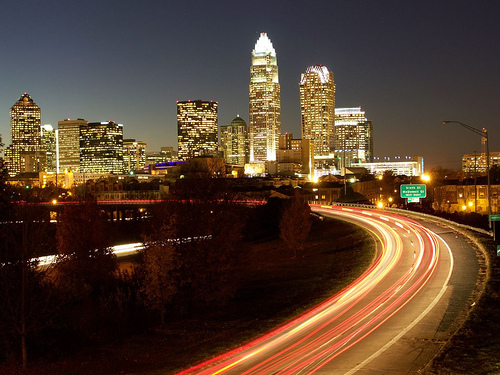 The Van in Black is pleased to announce that they are now authorized to provide shuttle van service for both arriving and departing travelers at the beautiful Charlotte Douglas International Airport (CLT) of North Carolina. The Van in Black’s large size brings additional on-demand shuttle service to Charlotte for large families and groups that need more than a typical taxi, rideshare, or smaller shuttle van. With a total capacity for up to 11 people with luggage, the Van in Black provides a cost effective solution that is comfortable and flexible; not to mention the added coolness benefit from driving up to the airport in the Van in Black! Call today and book the van for your transportation needs into or out of CLT! The van is also available to book for additional services around the Charlotte area. Perhaps you want to tour one of the many micro-breweries with your friends and need a designated driver? Or do you want to visit some of the 100+ Carolina wineries you have heard so much about? Whatever the need, the Van in Black is available to get you where you want to be. Call us and let our knowledgeable staff setup the perfect adventure for you and your family or friends. Airport travel can be a challenge when you have a large group of people (6-10 people or more!). Whether it is a large family, a business team, a church group, or sports team; the challenges of dealing with everything involved with air travel is compounded when you have a large group. This is especially true when you are dealing with an extended trip that requires more than just a simple carry-on for 1 or 2 days of travel. The challenges can start almost immediately, before you even get to the airport, when you look at how you are going to even get your group to the airport. 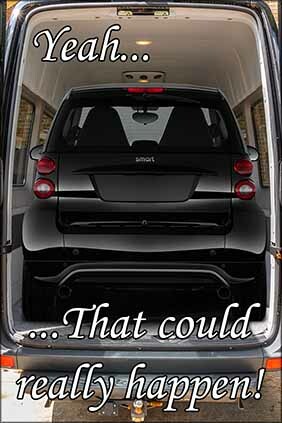 Finding a cost effective solution for transporting 6-10 people with luggage to the airport can be difficult. Most options will involve using multiple vehicles which just drive the cost up and then you all can’t travel together. With the Van in Black, it is different. We make it simple. 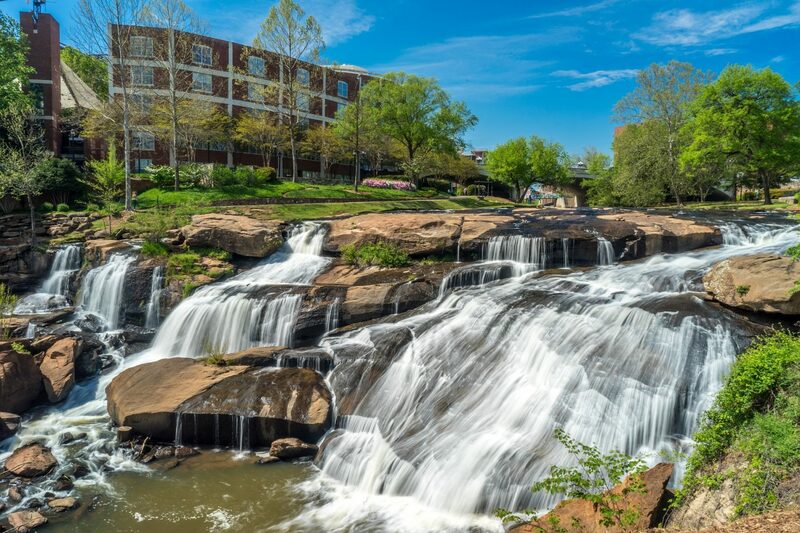 Call us when you are traveling to the Charlotte, Asheville, or Greenville-Spartanburg airports and we will get your entire group (up to 11 people! ), with luggage, safely to the airport in a single vehicle. Not only will it be the most cost effective solution, but it will also be the coolest solution as you will be driving up to the airport drop-off zone in style. Remember, there is only one Van in Black! 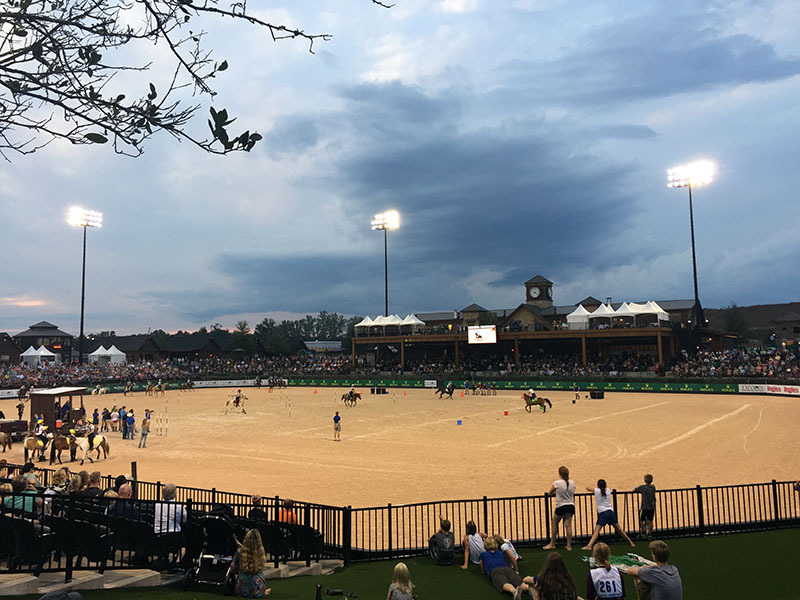 The FEI Equestrian World Games are coming to Western North Carolina in September of 2018 (9/11 – 9/23). This is expected to bring an enormous amount of people into the tiny community of Mill Spring, North Carolina which typically has a population of less than 5,000 people. During the games the total spectators present are expected to exceed 50,000 people per day. That is a lot of people! Will Mill Spring and the surrounding communities be able to handle this sudden population explosion? Absolutely! The area has had plenty of time to prepare for this event and if there is one thing North Carolinians excel at, it is being hospitable. This doesn’t mean that there won’t be some challenges during the event. However, in the rural areas of Western North Carolina, people get things done. There is the obvious issue of people getting to the event from the local airports (GSP, AVL, or CLT) and then getting around once they are at the event. That is where the Van in Black is here to help! While we are certain there will be plenty of other transportation services available in the area, including the popular ridesharing applications, very few will be able to handle groups of six or more in a single vehicle including all their luggage. This is not the case with the Van in Black. The Van in Black is big! It is also one of the few transportation companies that is authorized to work at all of the local airports in addition to crossing state lines. So whatever your needs are; whether it is a shuttle from GSP to Mill Creek, a sightseeing tour of the local sights, or just basic transportation around the equestrian center, the Van in Black is here to handle all your transportation needs. Just call the toll-free number listed at the top of this page and someone will coordinate service with you. 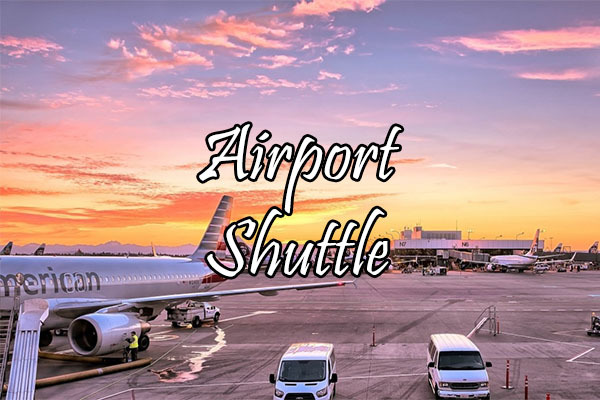 The Van in Black is pleased to announce that they are now authorized to provide shuttle van service to both arriving and departing travelers at the beautiful Greenville-Spartanburg Airport (GSP) of South Carolina. With space for up to 11 passengers with luggage, large families or groups using GSP will find the Van in Black’s large capacity a helpful, comfortable, and cost effective method of getting to or from the airport. 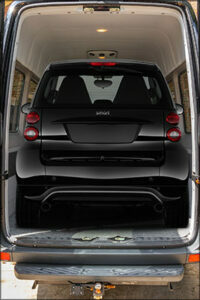 As an added benefit there is the coolness factor of riding in the one and only – Van in Black! So call today and book the van for your airport transfer needs. Let us know when you arrive or depart and we will take it from there! The Van in Black provides more than just airport shuttle service. It can also be booked for day tours of any of the nearby scenic areas, wineries, micro-breweries, or whatever you want. Your driver is also an expert on things to see and do in the Carolinas. So if you are visiting and need some ideas or suggestions, just ask and they will gladly provide helpful suggestions and destinations you will want to check out. Your driver can assist with any additional booking questions you may have so get in touch today to see how the Van in Black can be of service. Yeah, this could really happen!